Like Culcha Vulcha, Immigrance is a studio project, and it features most of the same musicians. And though it shares that project’s ace musicianship and dynamic, kinetic spirit, it is also rawer and moodier than its predecessor. Several of the compositions put a newfound emphasis on delivering simpler, streamlined impact, and League, as producer, left in the tiny flubs and unvarnished textures that accompany great organic performances. That m.o. is at the fore on “Chonks,” a heavy, gritty slice of funk that League wrote during a sound check on Bobby Sparks II’s clavinet; the keys master is featured on the tune with a combustible clav solo that, with its otherworldly tremolo effect, could be mistaken for a guitar lead. The second cut, League’s “Bigly Strictness,” carries on that hard-grooving directness before the composer borrows a rhythm from one of his most crucial influences of late, the Turkish darbuka master Mısırlı Ahmet. Guitarist Chris McQueen’s gorgeously slow and sensual “Coven” follows, with an implicit message of how these tech-saturated times are destroying the human empathy that can only be achieved through face-to-face communication. “Bling Bling,” by saxophonist, flutist and clarinetist Chris Bullock, isn’t shy about its composer’s deeply felt passion for hip-hop. Joys and struggles have certainly been a part of the Snarky Puppy saga. League established his band as an undergrad, in need of a creative outlet after he failed to place into any of the jazz ensembles at the venerated University of North Texas. So he looked toward the fellow student musicians he also counted as friends, as well as the gospel and R&B pros they’d been playing with regularly near Dallas. Over the following decade and a half, through the ingenuity of their ideas and the sheer fortitude of their work ethic, League and Snarky Puppy would become one of the most significant crossover successes in recent jazz and instrumental-music history—playing to packed-out theaters and earning mainstage sets at major music festivals, and garnering coverage in high-profile outlets. “Snarky Puppy, the jumbo-size brainchild of bassist-composer Michael League, is one of the more versatile groups on the planet right now,” Rolling Stone said in 2016. “[T]he Grammy-winning orchestra plays a virtuosic, high-energy blend of jazz, funk, hip-hop and more.” A few years ago, Snarky Puppy established a label, GroundUP Music, to release its own recordings as well as the work of friends and collaborators like David Crosby, who first worked with the group on volume two of its vocal project Family Dinner. In 2017, League and GroundUP launched the intimate annual GroundUP Music Festival in Miami Beach, showcasing a panoramic range of contemporary sounds and lifting up emergent artists. In recent years, after so much elbow grease, awards have been plentiful, and include three Grammys and numerous poll placings. 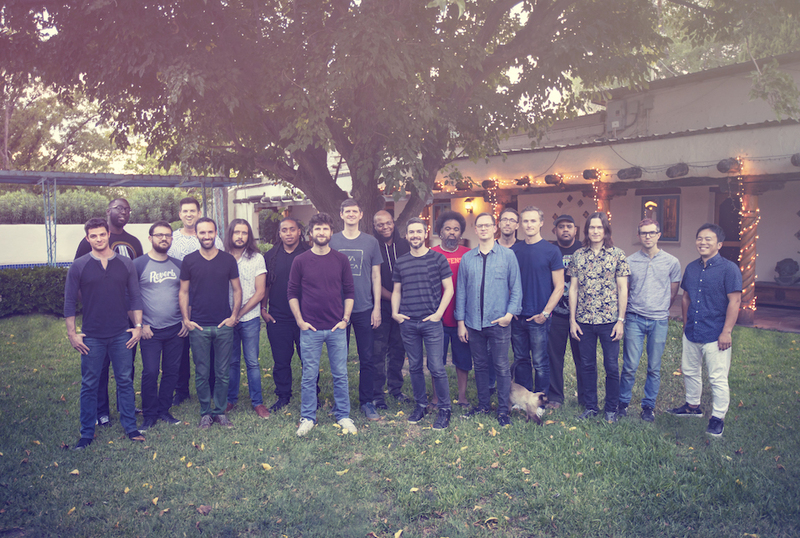 In 2017 alone, Snarky Puppy captured the “Jazz Group of the Year” title in the DownBeat Readers’ Poll and “Best Contemporary Group” in the JazzTimes Readers’ Poll. Not surprisingly, the collective has become an incubator for game-changing talent. Nearly every member of Snarky Puppy is a bandleader or solo artist, releasing albums and touring regularly.